Here’s what’s happening in the world of television for Thursday, November 22. All times are Eastern. 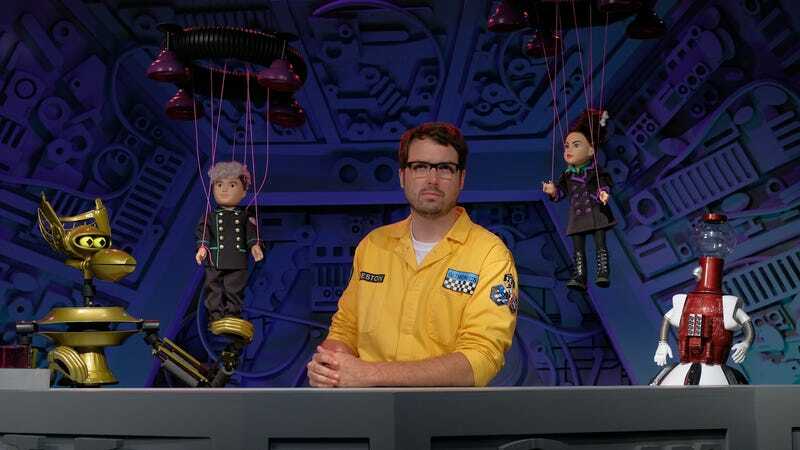 Mystery Science Theater 3000: The Return (Netflix, 3:01 a.m.): MST3K is a Thanksgiving institution, right up there with giant balloon cartoon characters and pumpkin pie. (More on that, as well as what you can expect from this season, in this piece from MST3K aficionado Erik Adams.) This year’s Turkey Day binge, dubbed “The Gauntlet,” sees the steadfast crew of the Satellite Of Love—Jonah (Jonah Ray), Tom Servo (Baron Vaughn), Crow T. Robot (Hampton Yount), Gypsy (Rebecca Hanson), etc.—forced to “binge make” a new season at the behest of mad scientists Felicia Day and Patton Oswalt. “It’s a doable chunk,” said Day, who plays Kinga Forrester, the megalomaniacal daughter of the show’s original villain, Dr. Clayton Forrester. “I’ve played World Of Warcraft for longer than you’ll spend watching all of ‘The Gauntlet’ many a time.... It’s going to be better than talking about politics with your family,” she added. Whether or not you spend the rest of your day playing WOW, talking politics, napping off the turkey sweats, or any other traditional Thanksgiving pastime, we highly recommend carving out (get it?) some time to spend aboard the Satellite Of Love. It’s good for the soul. The Christmas Chronicles (Netflix, 3:01 .m. ): Yeah yeah sure sure, Netflix got both Alfonso Cuarón and the Coen brothers this year, but did you know it’s also got Kurt Russell playing a character our own Charles Bramesco has christened “DILF Santa”?